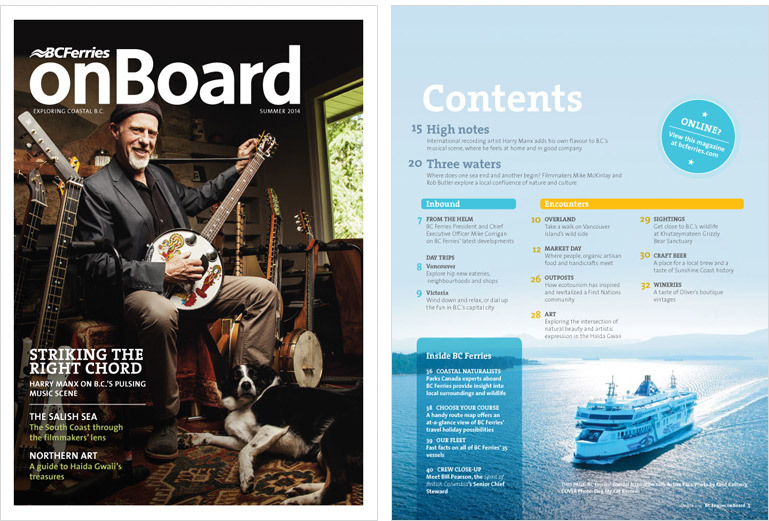 BC Ferries onBoard magazine — RandallAnthony Communications Inc.
On behalf of The Globe and Mail, we worked with BC Ferries to create onBoard magazine – a print and digital coastal travel and lifestyle magazine with an anticipated audience of over 900,000 B.C. residents and visitors. We were honoured to produce the first three editions of onBoard magazine which were filled with colourful stories penned by esteemed travel and lifestyle journalists, visually compelling imagery, and insight into the BC Ferries organization. To help promote onBoardmagazine, we also created print advertisements published in Western editions of The Globe and Mail, reaching more than 253,000 readers, 81% of whom have a household income of $99,000.